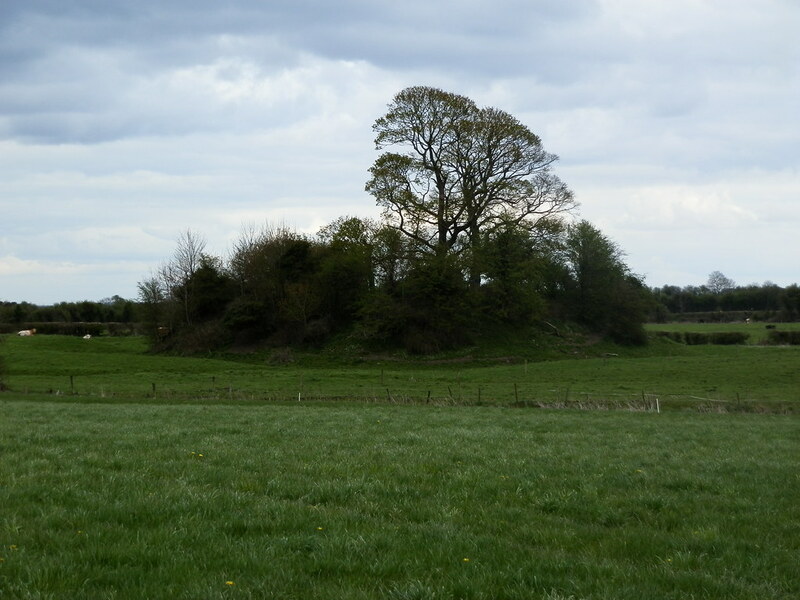 The Standing Stone: Aghaboe, Motte and Bailey, Co. Laois. 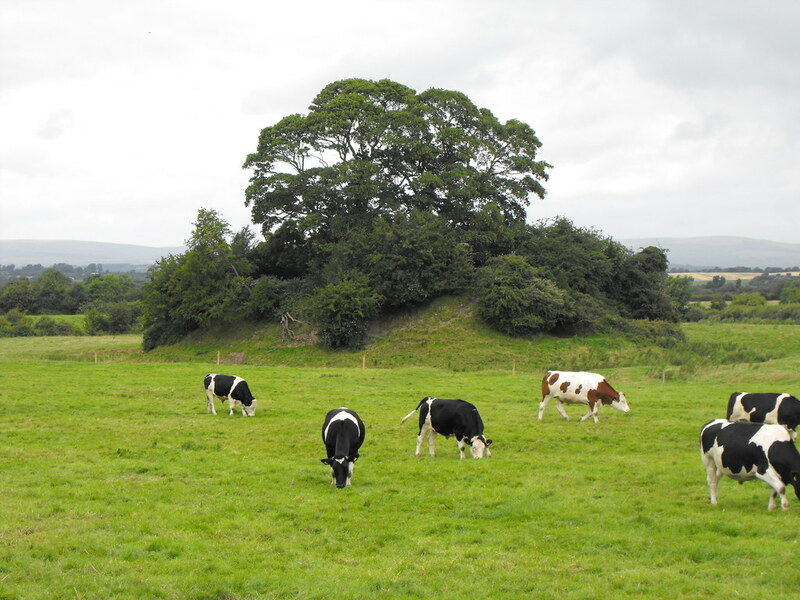 Aghaboe, Motte and Bailey, Co. Laois. 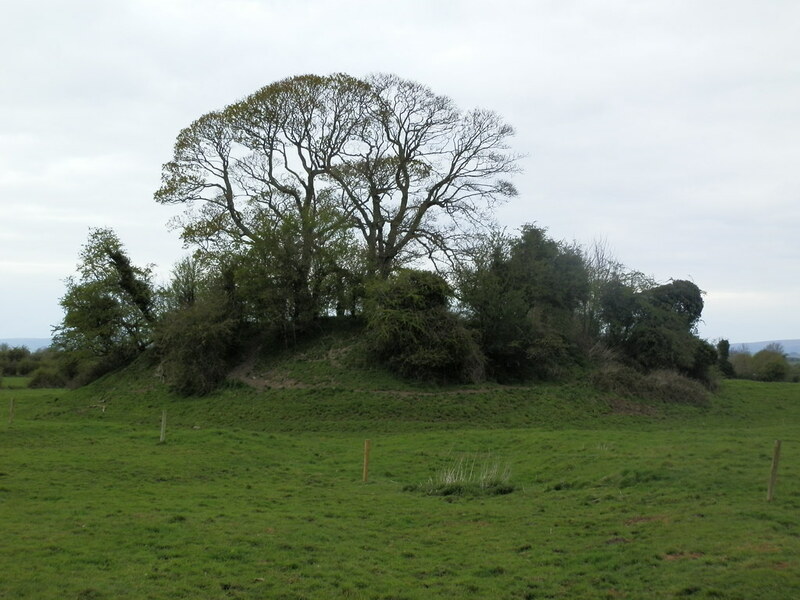 Location - On the R434, off the N7 at Borris in Ossory. 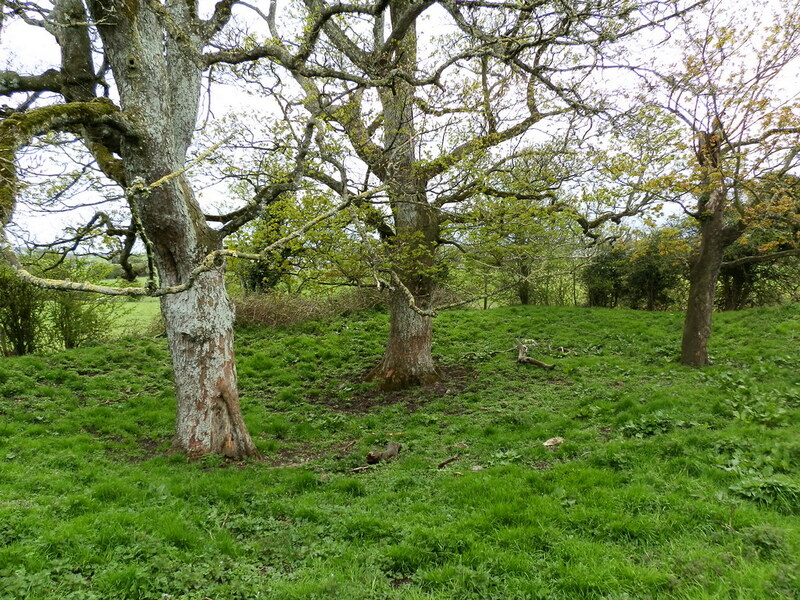 Description and History - Located in the field to the North of Aghaboe Abbey this motte and bailey was likely constructed in the late 12th or early 13th century. This example is slightly square and c42m in diameter at the base. A grass covered stone wall defines the summit. Difficulty - Like Aghaboe Abbey this site is easy to find and is located to the North of the Abbey just off the R434. 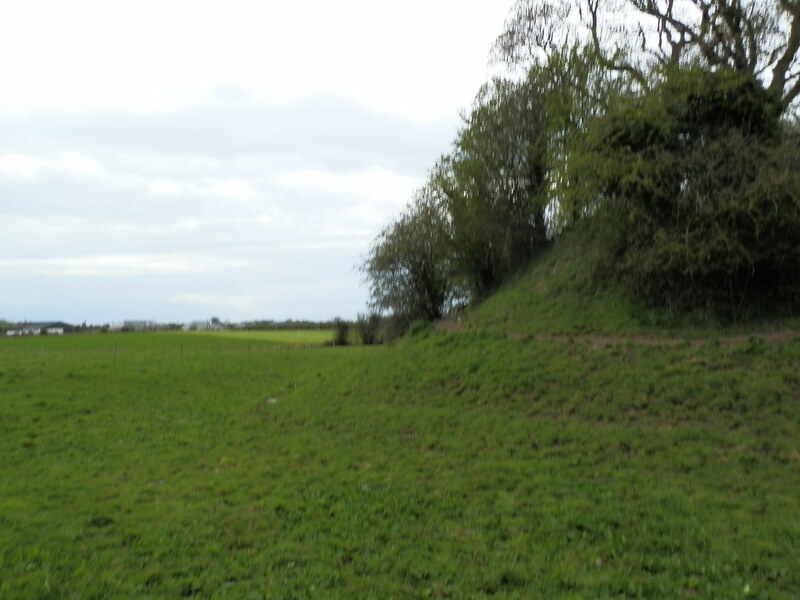 The Abbey provided good views of the site which is located in a cattle field. During wet weather the field can be quite muddy. Beware of the cattle. 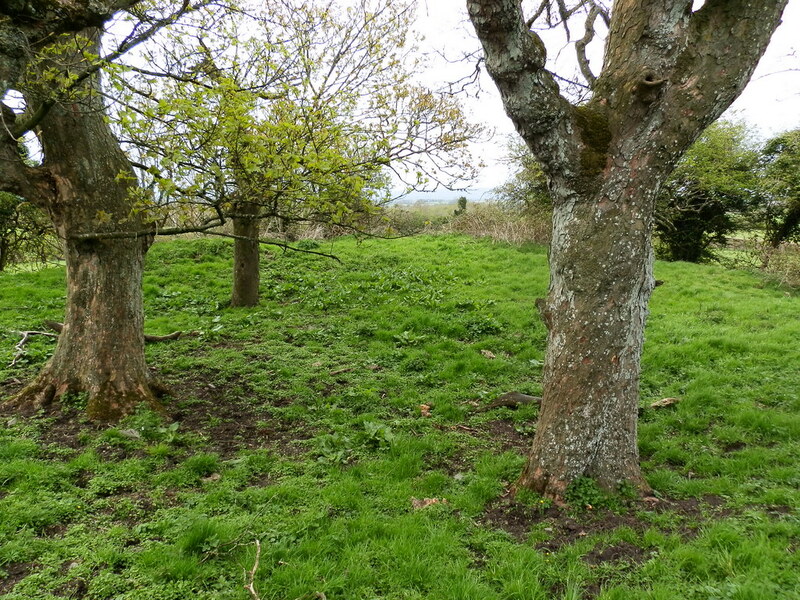 A wooden structure was listed as having been here but on top of the mound there is traces or mortar which suggests a stone structure. For more motte and baileys, click here. Seen from near the standing stone. On top of the mound.